It was a cold day as hundreds, probably thousands of metal fans clad in leather, denim and band shirts made their way to the Leeds University for Damnation, which boasted some of the best bands on the doom, black and death scenes. Before the doors had officially opened, there was already a might horde gathered throughout the area, each one discussing their plans for the day, familiarising themselves with the venue’s layout and buying merch. I think that Ravens Creed must have pulled the short straw when I was asked to cover their set as Nico interviewed Witchsorrow – Mainly because I’m a fan of symphonic metal. Never the less Ravens Creed offered me the well needed break from the (what seems to be) repetitive symphonic melodies and orchestrations that forms the base symphonic metal, with the heavier use of guitars and death growls that instead of easing you into this year’s Damnation, threw you into the festival’s main concept… Hard, heavy and face-melting metal! 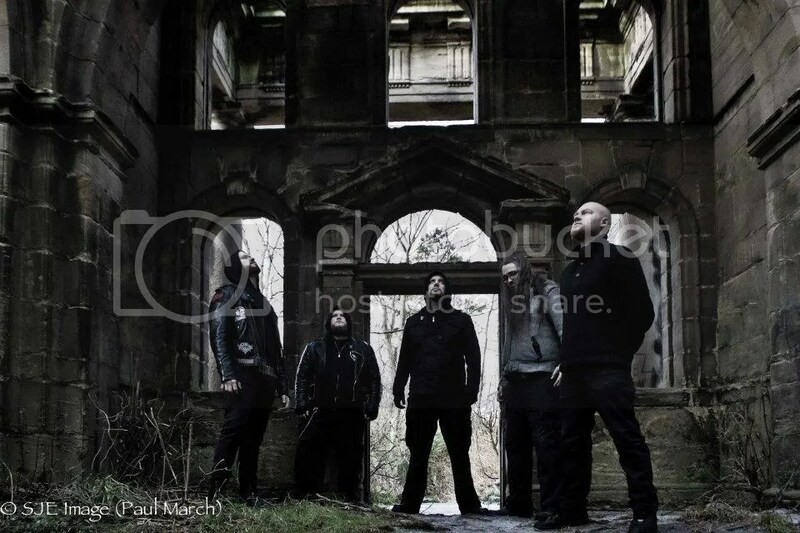 Though unable to catch the name of the first three songs the bands third song, Slaughterhouse opens up with quiet heavy guitars before being met by the frontman’s harsh vocals again. A couple of songs later and free from a speech from the lead vocalist about how some people in the music industry are complete knobhead’s the band begin to play their next song; Stand Up and be Counted, a strong and terrifying song. While being a great band that put on an entertaining performance, I do wonder if they could have done more with their set if they had been on the Terrorizer or Jagermeister stage. Though only on for 30 minutes, Ravens Creed are towards the top of the bands that I really enjoyed both in terms of both performance and music. After the interview with Necroskull of UK doomsters Witchsorrow, I navigated my way to the Eyesore Stage where they were due to play. 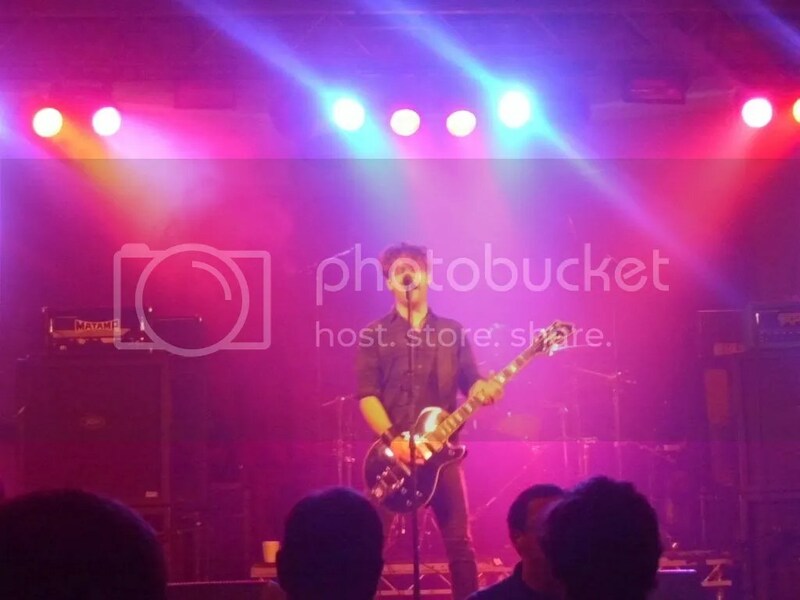 By the time I had got there, I struggled to squeeze into the room – It’s nice to see people supporting bands on the smaller stages at festivals, rather than just going for the bigger names. I could barely see Witchsorrow as they began playing but I heard perfectly the unholy anthems of doom that churned out. Combining heavy, droning riffs with a crisp bass sound and haunting vocals, Witchsorrow conjured up a grim, terrifying sound and performed a truly bewitching set – Though the sunlight coming through the windows did ruin the apocalyptic atmosphere of the music. I’ll admit Hawk Eyes aren’t exactly what I’d consider Damnation material but they proved to be an excellent opener for the Jagermeister stage as they belted out ferocious wailing riffs and destructive rhythm sections while displaying a unique sound as well. Definitely an impressive live act. Wodensthrone were one band that I really wanted to see at Damnation and I feel awful that I missed most of their set due to getting lost. However, when I had found the stage they were playing, I was more than pleased with what I was welcomed by. Heavy pounding guitars and an ambiance of grim were offered up by the British black metallers, along with distinct and snarling vocals and cold keyboard symphonies that added to the final touches to the band’s set. A shame that I could barely see them though due to the crowd size! Devil Sold His Soul were one of the bands on the line-up that I had actually heard of, I knew nothing about them or their music but was quite looking forward to seeing them perform live and was gutted when we arrived towards the end of their set. This was something shorted lived and the image of what I had of Devil Soul His Soul was the complete opposite to what they we’re like. 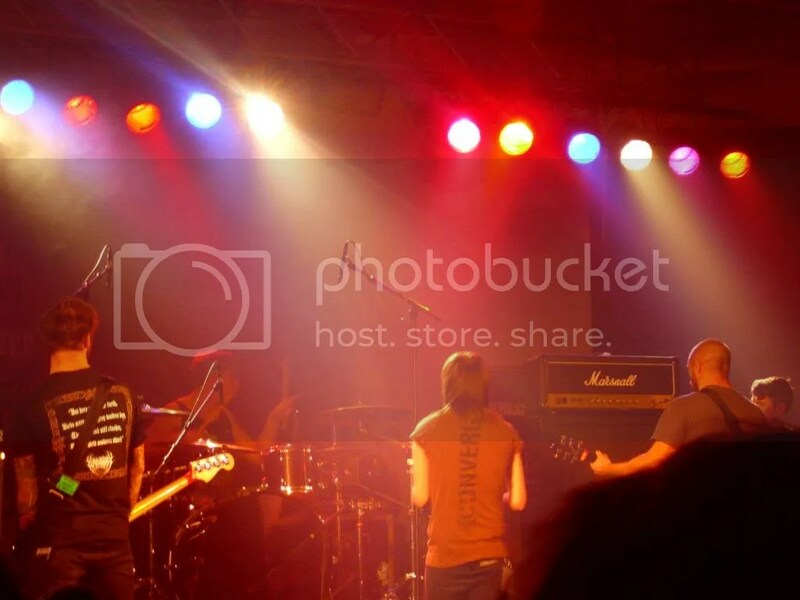 I was very surprised to learn I was experiencing a post-metal band from London. Upon the first listen I thought they were akin the likes of Bring Me The Horizon but getting away from that I do feel that they are a talented (and I have started to listen to them since seeing them at Damnation). I do feel that they have a lot of potential to become as big as the other names in the post-metal scene. Their performance was good though there wasn’t much crowd interaction and I feel that they were average while on stage – Nothing that you could complain about but yet nothing that would blow you away! Winterfylleth were another band I’d wanted to catch after hearing a number of great things said about them at Warhorns Festival earlier this. I can see why they’re reading as one of the finest black metal bands on the UK’s underground scene. 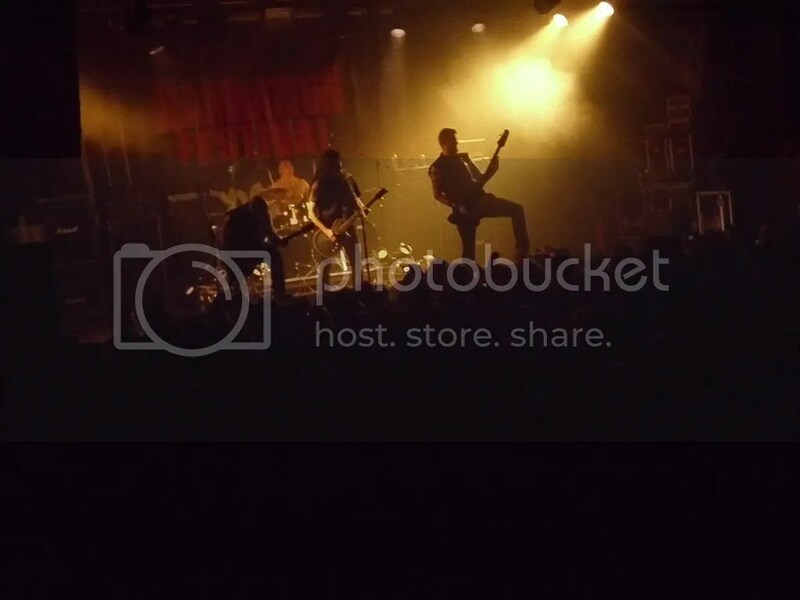 Aside from packing a full-on assault of vicious riffs and ethereal screams, the band know how to keep a crowd entertained as well when on stage. 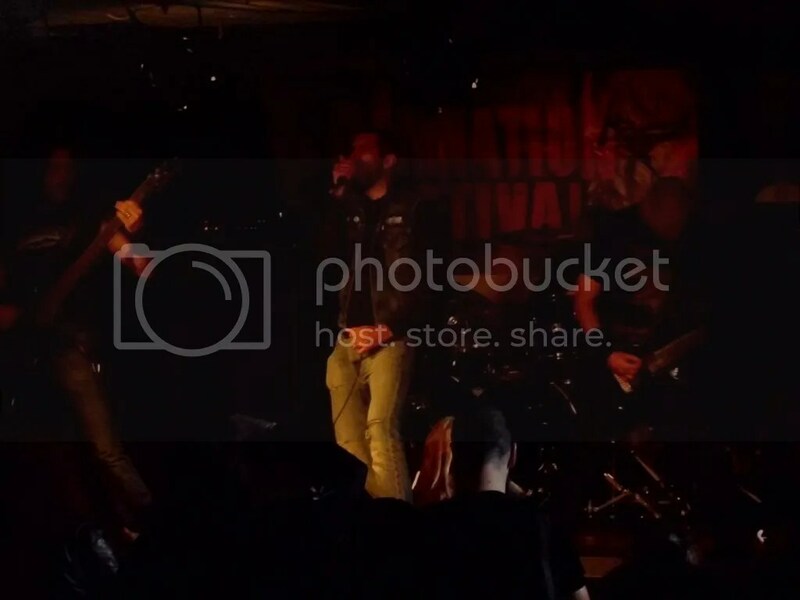 Unfortunately I hadn’t had the chance to watch the full set due to an interview with Vreid but hopefully, they’ll be appearing again at Damnation in the future. I’ve been a casual listener of Vreid for the past few years and have always wanted to know how their live sound would compare to their studio work. Well, I was more than pleased when their terrifyingly brutal live sound was just as good, if not better than their studio work. As the light show corresponded acutely with Vreid’s use of snarling vocals and raw, gritty riffs, especially during the performances of songs such as Speak Goddamnitt and Pitch Black, I found myself mesmerised by their lively performance. Other tracks such as Raped By Light went down a treat with the fans as well due to the sheer heavy assault of barbaric drums and screeching riffs. 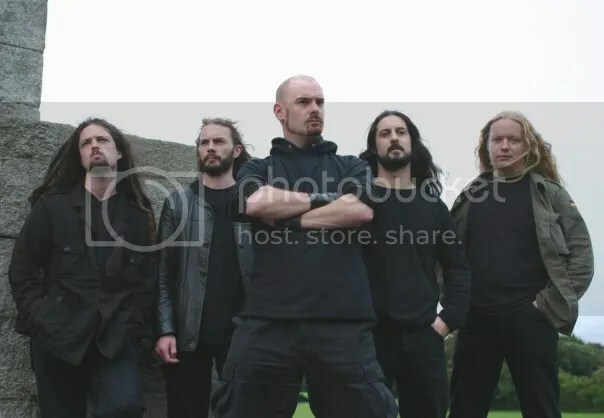 Being a fan of Celtic-styled music (be it proper Celtic folk or just Celtic-orientated metal such as Cryptic Age or Celtachor or Cruachan), I was stupidly excited to see Primordial and I can safely say that i was not let down by the Irish metallers. As frontman AA Nemtheanga put it “We are in the eye of the great storm” and he was correct as Primordial unleashed a blasphemous performance of Celtic elements and violent riffs upon an unsuspecting horde of metalheads. The darkened lightshow only added to the unholy sounds that Primordial churned out with unrelenting fury. Opening up their Hadean set with Kneel Til Doomsday, Yorkshire doomsters My Dying Bride proceeded to entrance the packed out crowd at Jagermeister Stage with their unique blend of droning riffs and cold vocals, while the violins and keyboards added to the tragic flavourings of the band’s tragic sounds of the music. Aaron looked like some ethereal prophet of doom as he worked his vocal magic. One surprising part about their set was the performance of To Remain Tombless – A great song but it doesn’t strike me as a fan favourite but it still eased its way into Bride’s set like depression easing its way into one’s soul. The performance of Like Gods Of The Sun was a truly mystifying one, while their performance of The Dreadful Hours was more akin to haunting, which was a magnificent way to end their set at Damnation. After seeing My Dying Bride, I headed straight to the Terrorizer stage to catch the rest of Belphegor’s set as I’d really wanted to see them but sadly they clashed with MDB. I think I got my hopes up a bit too much as I didn’t think much of Belphegor’s set. As I arrived at the Terrorizer stage, there was a cold and hellish wind blowing into the room as I was greeted by the aggressive stylings of Belphegor, though it wasn’t enough to entice me to stay interested in their performance. While they are a talented band, I found myself bored with their performance. The drums sounded tinny in sections and while blasphemous riffs and vocals were belted out aplenty, the performance just didn’t match up to their studio work (of which I am a huge fan of), and the faux-gruff voice of the frontman in between songs wasn’t quite as comical as the crowd found it to be – If anything, it was irritating. Never the less, the crowd enjoyed them and that’s what matters. The heavy droning that was Electric Wizard’s set was one that took me by surprise. Having never been familiar with Electric Wizard, I wasn’t sure what to expect. The use of cinematic images in the background intrigued me as Jus Oborn’s vocals echoed hauntingly across the room, carried on the gloomy riffs like a raven on the wind. It was hard to not become entranced with Electric Wizard’s unique brand of doom metal as the dark riffs and hypnotic percussion came out so enchanting. My only regret is not being familiar enough with Electric Wizard’s music to truly appreciate the artistic value of their performance. Well, it was one hell of a day and the early train ride to Leeds was well worth it. Damnation is definitely up there in our top five events of 2012, so we’ll gladly be raising a pint to Damnation 2013, which can’t come soon enough! Nico Davidson & Danielle Eley. Amateur photography by Danielle Eley. 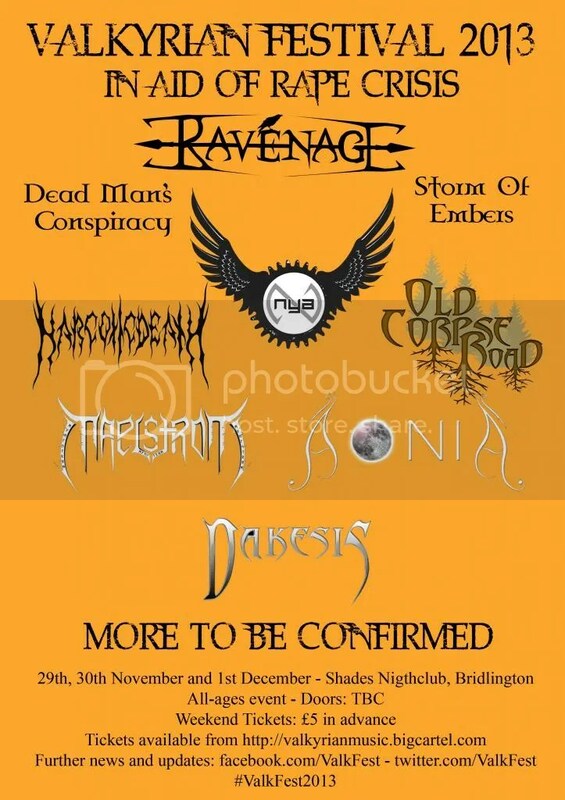 Damnation Festival has been spreading darkness over the UK since its unholy birth in 2005 and has proven to be one of the best festivals in Europe. In celebration of this year’s Damnation, the team got together to compile a list of bands that we recommend you go see at this year’s Damnation Festival! In all honesty, if you’re attending Damnation and planning to miss headliners Electric Wizard for any reason other than death, you should hand over your ticket, give back your ‘Metal Fan’ club card and go to HMV to pick up Justin Bieber’s latest album. Aside from being one of the UK’s seminal trad-doom bands, Electric Wizard produce a gut-rumbling, earth shaking sound with sludgey, stoner-tastic elements that is not to be missed. After their recent triumphant return to the US, you should give them the welcome home they deserve and remind them that the UK audiences are the most ferocious. Why? Well, for starters they’re one of the most promising British black metal bands on the scene at the moment. They sing about heathenry and ancient tales, what’s not to like about that? Their take on atmospheric black metal is likely to appeal to fans of Graveland and Drudkh. And their music has an epic and mythological feel to it! Also, Curse is a great album. One of the most immersive, intense bands ever to come out of Ireland, Primordial are one of the best Black Metal acts of the age. Their live shows are renowned for being some of the most crushingly heavy, as they blend the essence of their native melancholic Celtic folk melodies and the dark, bleak sound of Epic Black Metal. A totally unique force, and responsible for one of my favorite albums of all time, "To The Nameless Dead", not to mention what many considered the best album of 2011, "Redemption at The Puritan’s Hand." Flawless. 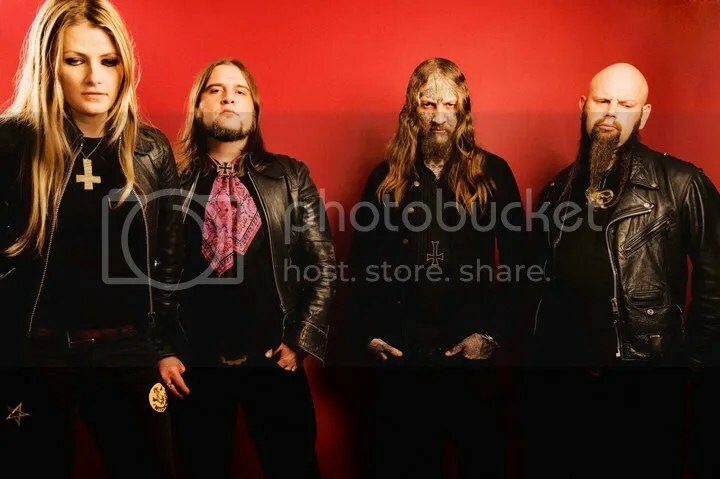 Ignoring the fact that they look like if they’ll sodomise your corpse with a rusty razor, Belphegor are one of the top bands on the international extreme metal scene. With a sound that could crack a mountain, Belphegor have proven time and again that they can raise hell and brutalise your ear drums like no other extreme metal act. They’re also probably nice guys as well, once you get past their intimidating image. England’s home grown black metal monsters Winterfylleth have had an absolutely cracking year, storming Bloodstock, Wacken Open Air and Hellfest during the summer. These brilliant performances have shown that they are on a roll at the moment, performing at the top of their game, and subsequently their performance at Damnation should be a blinder. 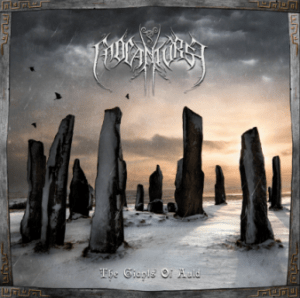 They have a wonderful frosty quality to their music, and they make lyrical nods to their Anglo-Saxon heritage, which is a brilliant take on the black metal scene as a whole. Winterfylleth are fresh and energetic and should be an absolute definite on your list of bands to see. Melancholic gothic-doom giants My Dying Bride are a definite must-see this year. There’s not much I could possibly say to recommend them enough that a quick listen wouldn’t say anyway, but I will try my hardest! With their roots firmly in death-doom metal, their slow, languorous metamorphosis into the goth-tinged doom they produce these days has helped them to create a solid, distinguishable sound that is unashamedly theirs. There are many imitations, but none of them can come close to the original. 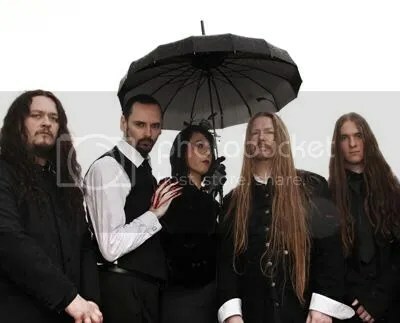 My Dying Bride perform darkly romantic music that is decadent in its’ gloominess and triumphant in pain and misery. Make sure you bring a smoking jacket and a bubble pipe, and insist on getting your ale served to you in a deep crystal chalice to get the full effect. Godfathers of grindcore, crust punk legends and controversial British extreme metal band – Extreme Noise Terror return to drop punk infused mayhem on Leeds. With almost 25 years experience and a huge catalogue to choose from, expect a hardline, political set to ignite the expectant crowd and fuel crazy moshpit antics. The lineup might have changed over the years, but Extreme Noise Terror‘s passion and fury survives, and Damnation is stronger for having them on stage. Not exactly a band I’d pick to open Damnation Festival but they do have more musical talent than Justin Bieber, Chris Brown and Girls Aloud put together. That and after a quick listen, I think it’s safe to say that Hawk Eyes will be rocking the roof of Leeds Uni when they open up Damnation in November. Pig Destroyer is a band definitely worth checking out because their energy and stage presence is great, and for a grindcore band, their sound is tight and easy to head bang to. I understand that grindcore is sometimes hard for people to get into, but they’re some of the best I’ve heard since I’ve started listening to metal. This band’s commanding of attention will definitely get you pumped and they’ll definitely be a very memorable performance. And there you have it, Valkyrian Music’s list of bands to check out at Damnation this year. Of course, you’re free to check out the other bands that are playing as well, since we’re pretty sure that they’re all great as well (otherwise they wouldn’t be on the bill). All proceeds from the London show will go to two awesome charities – Childline and Health Partnership Nepal – and with tickets coming in at just £3.50 and shots of Kraken and pints of Hobgoblin at recession-slaying prices; you really have no excuse not to be there. Huntress will be on stage at 7:30pm. Tickets are on sale now – click here to purchase tickets. They’ll be joined by Candlemass, Hatebreed, Destruction, Napalm Death, Enslaved, Senser, 4Arm, Stuka Squadron and Winterfylleth with many more to still be confirmed. 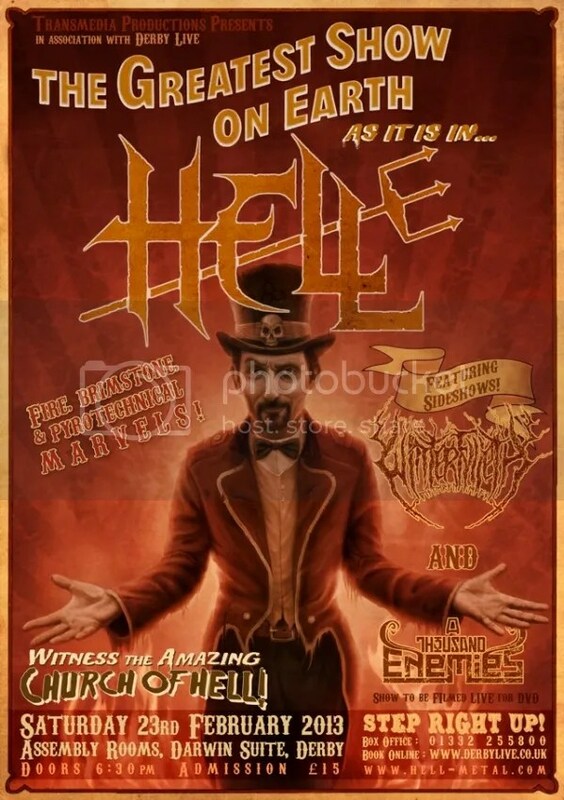 Hammerfest 5 (In Fear Of the Dragon) takes place between March 14-17, 2012 in it’s new location of Haven. Hafan y Môr Holiday Park,Pwllheli, Gwynedd, North Wales. The event is already close to fifty percent sold and we have a ton of great acts still to announce so grab your tickets fast .